during the QBE International match between England and New Zealand at Twickenham Stadium on November 16, 2013 in London, England. ENGLAND MAY have suffered their first and only defeat of the autumn on Saturday, but there were more positives to take out of their performance against New Zealand than the previous two games combined. Despite succumbing to a 22-30 loss to the world champions, who keep up their hunt for the first ever ‘perfect year’, England showed they have the foundations to keep up with the best in the world. 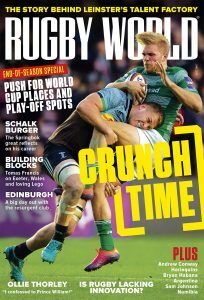 The crushing loss to Wales in the last game of the Six Nations seems like a distant memory now. England’s pack were blown away that day, but on Saturday they proved that they have learnt their lesson. It was a performance brimming with power. Hartley, Marler, Lawes, Launchbury and Vunipola were all exemplary and when you consider who is still to come back from injury, as well as the impact the subs have had this autumn, the future is rosy for the English eight. The biggest negative this autumn has been the centre partnership. With Brad Barritt and Manu Tuilagi out, there was a real chance for Twelvetrees and Tomkins to challenge them for selection come the Six Nations. While Twelvetrees found some kind of form in the last two games, Tomkins has not looked at home on the international stage. On Saturday he made eight carries and did not pass the ball a single time – with no line breaks or offloads to show for his efforts, that sort of one-dimensional play doesn’t really cut it at this level. 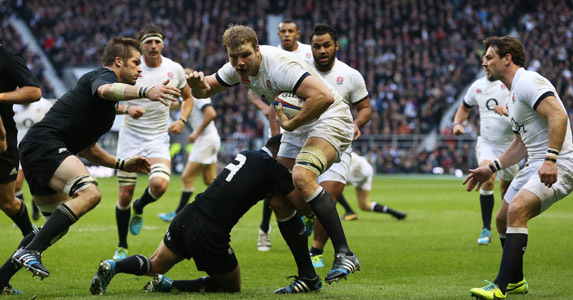 England badly miss Manu to get some go-forward in the backs. Owen Farrell deserves a great deal of credit for the composure he showed against New Zealand to kick all six of his goals and effectively keep England in the game. However, his play with ball in hand still requires a lot of work. Too often he is guilty of receiving the ball and crabbing laterally across the pitch, eating up the space for the men outside him. Unless he has someone running a hard, short line off his shoulder (which neither Twelvetrees or Tomkins did on Saturday) it is an ineffectual use of possession. Farrell must learn to run straighter and commit the defenders, rather than allow them to drift so easily. Ben Morgan has stormed back into everyone’s good books with two performances that have redefined the meaning of ‘impact sub’. Before this series many people were suggesting he should be out of the squad altogether after some indifferent club form behind a struggling Gloucester tight five. Back behind a dominant England pack, however, he has looked marvelous. 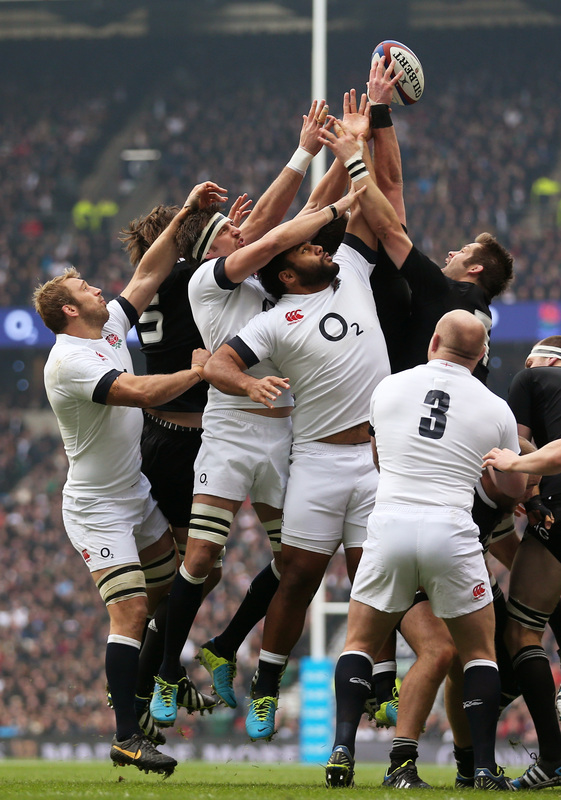 Billy Vunipola has also had an excellent autumn, slotting into the test arena with abundant ease. The tussle for the no.8 shirt in the years to come will be a fascinating one. Not to get carried away (it was a loss, after all), but England have confirmed that they have the foundations of a squad that could be capable of competing for the top honours at the 2015 Rugby World Cup. The pack was dominant in every game this autumn, and if England can find that little bit of stardust behind the scrum (bear in mind that Wade, Yarde, Eastmond and Tuilagi are all injured) then they can certainly challenge the Southern Hemisphere powers on any given day.